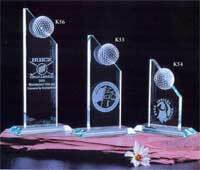 Engraved Products Plaques, Trophies, Badges, Desk Plates, Control Panels, Laser engraving. Specially designed deluxe plate holders made of non-tarnishable anodized aluminum in satin Gold, Silver, and in Bronze. Name plate holders accomodate laminated plastic materials and permit replacement or changing of names and legends. A wide variety of attractive colors to choose from. No. 270 Base with 3" x 8" Gravolpy plate. No. 275 Same Base available 10" long. No. 230 2" x 8" plates. No. 235 2" x 10" plates. No. 283 Two sided desk plate holder for insertion of two nameplates 1¼" x 6". No. 236 Plate holder with modern profile for 1½" x 9" plate. No. 220 Gold or Silver Metallix on lustrous black Plexiglas base. Plate 2" x 8". No. 221 The same or any other color nameplate on ¼" clear Plexiglas base. No. 222 The same on ½" Marbloy base. With 2-Plex name plate, reverse engraved with 3-dimesional effect. No. 231 2" x 8" x 1/8"
No. 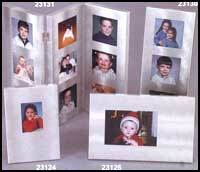 232 2" x 10" x 1/8"
Engraved Frames can last a lifetime and bring many smiles. Laser engraving can create a special plaque out of Walnut or Oak. 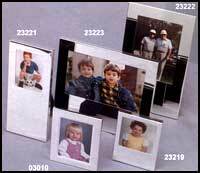 Made of shatterproof laminated plastic or luxurious clear Acrylic. Delivered with strap. No. 931: (Shown) 1½ x 3"No. 930: (Not Shown) 1" x 2¼"
Available in red, blue, white or black with contrasting lettering. Made from flexible laminated plastic in red, white, blue, yellow or black with contrasting lettering. No. 939: Diamond shape, 2¼" x 13/8". No. 938: Teardrop shape, 2 3/4 x 1 3/4".